I often am questioned by parents who know that listening, language and social skills are learned best when interacting with children and apps together but there are times when they want or need their child to listen and play independently. 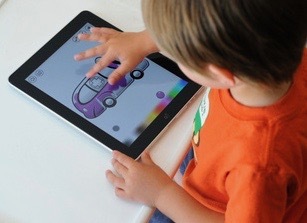 Listening, language and social skills are learned best when interacting with children and apps together. But rest assured, there are many well-chosen apps that open an universe of books, games and music for listening and spoken language learning. Apps can provide practice for your child listening to a variety of speakers or voices. Some apps allow you to choose to allow background music which is an auditory challenge for older kids. Apps that I recommend for a child to play independently would be those that target following auditory directions, storytelling and identifying sounds in our environment. Below are some of my favorites.